The changes to the building plans of Budapest’s Puskás Ferenc Stadium remind us of something… something… unbelievable, such as when a truck stands up, sprouts legs, and start to speak and flail with its „hands”. Today it was announced that the new Puskás Ferenc Stadium will cost far more than originally planned, while being smaller than originally intended. The full details can be found below. First, however, we would like to give our readers a brief overview of the history of this storied, and often unfortunate, Hungarian public edifice. Let us to start at the beginning. The first plans for a national stadium were drafted as early as 1896, when there were chances that Budapest would host the first modern Olympic Games. 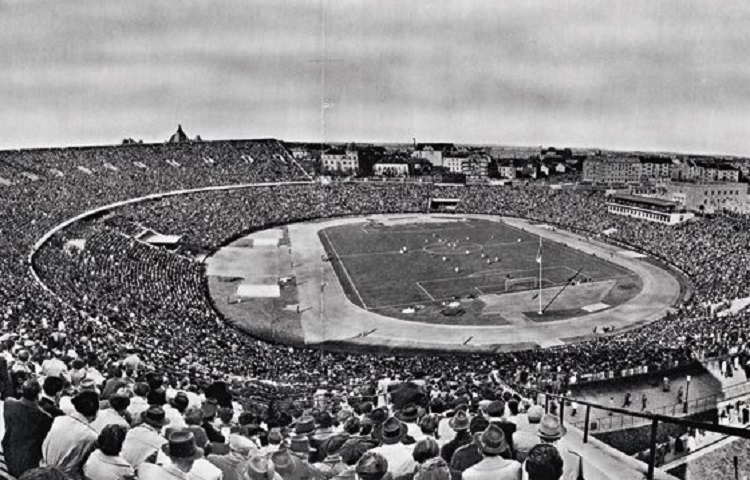 Mhhh…Hosting Olympic Games is apparently not the business of Hungarians… perhaps “national curses” really do exist, as the stadium was completed only in 1954, and would never play host to Olympic events. 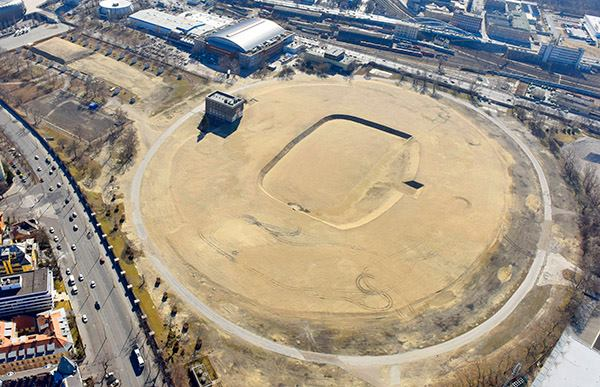 The old stadium was built between 1948 and 1953 using the labor of a large number of volunteers, including soldiers. Opened in 1954, the complex had a lengthy and fruitful life, as it played host to plenty of famous performances in Hungary. For example, the rock band Queen performed there in 1986; they would be follwoed by U2 in 1993, and the ‘King of Pop’ himself, Michael Jackson, in 1996. In 2002, the stadium was rechristened after the famed superstar of the “Golden Team,” Ferenc Puskás. Unfortunately, by that point the stadium’s best years were behind her. Puskás Ferenc Stadium will host four matches in the European Soccer Championship in 2020. 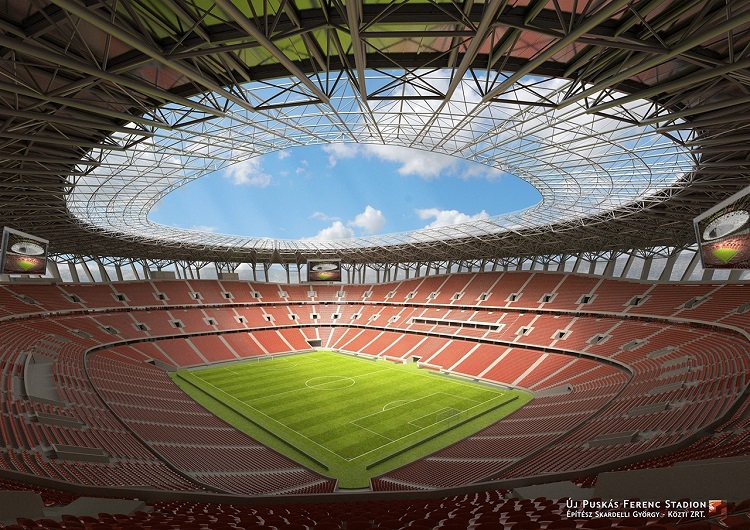 Besides soccer matches, the new stadium will be suitable for hosting a variety of events, such as concerts and conferences, and could accommodate a total of 78 000 people. Today it was revealed that the cost of the construction will be almost 300 billion forint (roughly $1 billion USD). How? In 2011 the construction was budgeted for 35 billion forints (around $200 million USD); that rose to 60-80 billion (roughly $400 million) in 2013 and to 110 billion forint ($375 million) in 2015… but what happened in the last year? How did this bidding reached 290 billion forint, or nearly $1 billion in 2017? In fact, earlier today the planned budget was at a ‘mere’ 190 billion, while later in the day an additional 100 billion was added to the stadium’s sticker price. The true magic of the transformation, however, is that while the costs of the plans increased drastically, the floorspace of the planned “new stadium” has actually decreased to 72.000 square meters. In other words, the stadium will be 30% smaller than was originally planned, while costing more than 5 times as much. The previously envisaged plans for a multi-functional facility, which would have accomodated twenty different sports, with a surrounding complex complete with a 180-room hotel, a conference centre, a sports museum, an underground garage, and office block, a diagnostic laboratory, and a police station, have been scrapped. The smaller stadium will be ready earlier and in time to host the European Soccer Championship. The sped-up timeline is one of the reasons that projected construction costs have increased so drastically, as such an acceleration naturally means hiring more workers and paying them overtime, among numerous other considerations. Before the recent announcement of an additional 100 billion in costs, Balázs Fürjes, government commissioner for the project, argued that the 190 billion forint ($650 million) price-tag is the gross amount of the constructions. 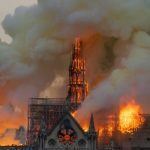 Discounting taxes and insurance, the final cost would’only’ be 142 billion forint ($375 million). Compared to other stadium projects across the European continent, Budapest’s Puskas Ferenc is shaping up to be uniquely pricey. 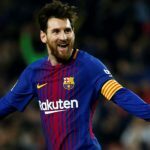 In Madrid, Spain’s new Atletico arena has 73,000 seats while its construction cost 75 billion forints; in other words, less than half of what the Hungarian stadium will cost, while having 6,000 more seats. 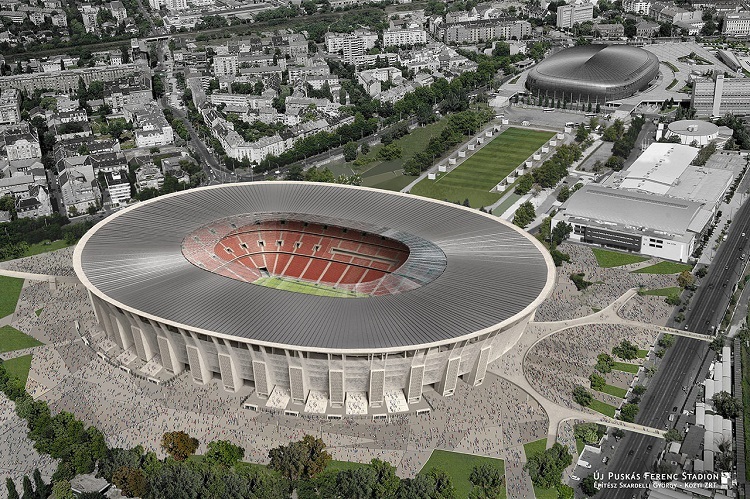 In addition, stadium projects in Brussels, Bilbao, Munich, Marseilles, and Sofia have all been completed for less than the Puskás stadium’s current budget. 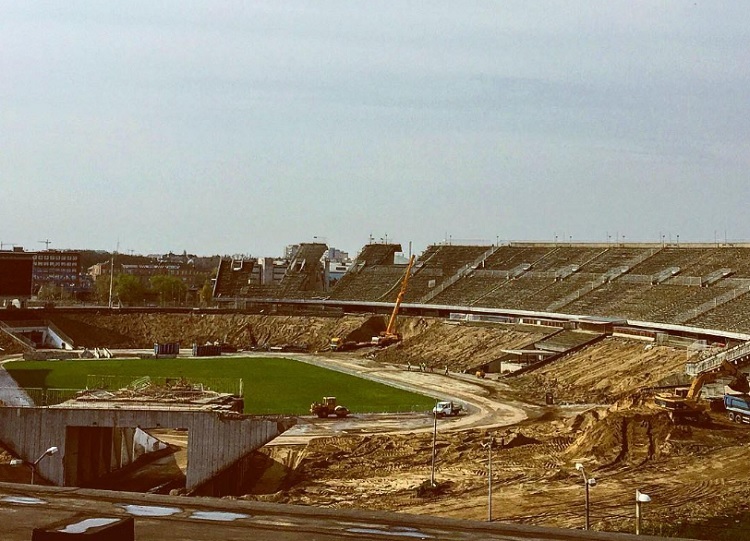 In reply to press rumors, the Centre for Major Government Investments Ltd. (KKBK) has released a press statement, insisting that deeply false claims have been published in Hungarian media in connection with the construction of the Ferenc Puskás Stadium. News portal napi.hu’s claim about 295,8 billion forints construction cost, which became the main source of the rest of the press rumors, is both a deliberate lie and a serious professional mistake, KKBK said, adding that the number might be the result of the miscalculation of the different sums published in recent government resolutions. In fact, the total cost of the construction is net 142,85 billion forints. (The 40,5 billion forints VAT goes back to the state budget, so it does not count as expenditure.) Furthermore, there is 5 percent reserve in the investment plan, however, this additional 7,15 billion forints will not be spent automatically, KKBK noted.